The Layton 7 title refers to the 7 playable characters you will control. The Professor Layton series has proven to be Level 5's most valuable asset, selling over 15 million units across it's various sequels (and prequels). So, it's no surprise that the company has announced a new installment of the series for 3DS, Android and iOS. What is surprising, however, is that Layton 7 will have a distinct lack of Professor Layton himself. 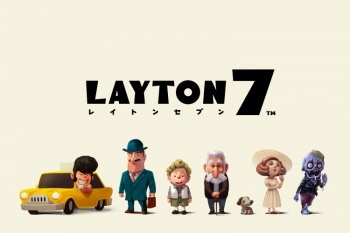 The Layton 7 title refers to the 7 characters you will control throughout the course of the game: a taxi driver, a business man, a young boy, an old man, a dog, a socialite woman, and... a zombie? 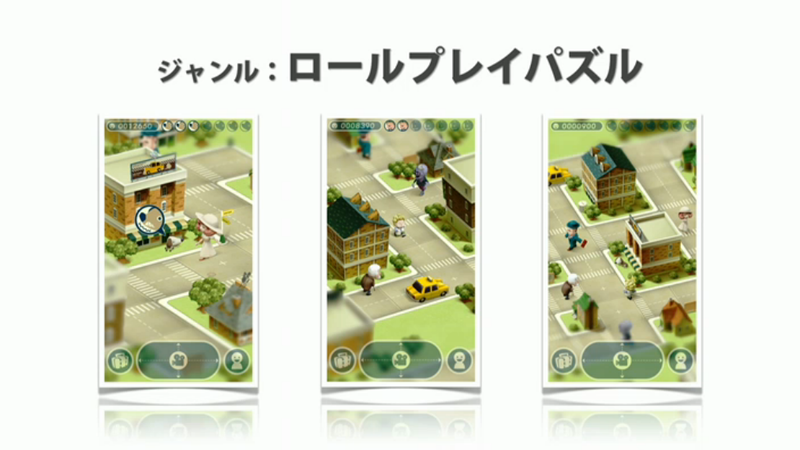 The game also looks quite visually different from the previous Layton games, taking place in a small isometric village. Level 5 are describing it as a role-playing puzzle game. Those of you who are holding your breath for a guest appearance from the Professor should know that when the company announced Professor Layton and the Azran Legacy last year, it specifically stated it would be the last Layton game to feature the Professor. Japanese magazine Famitsu has released a handful of screenshots of the game's Android/iOS version, but other than that, details are pretty scarce.